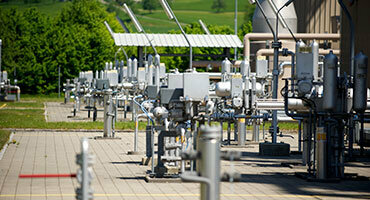 The Ruswil compressor station is the operations centre of the transport system in Switzerland. From here the required transport pressure is maintained, as well as the entire gas pipeline monitored and controlled. The Wallbach metering station is located after the border to Germany in the Rhine. In this station the quantity and quality of the gas coming from Germany to Switzerland is determined. Grimsel Massive and Grieshorn had to be overcome. hot water for own use, as well as third-party use, is able to be drawn off. Transitgas AG was founded on June 25, 1971, and was entered in the Commercial Register of the Canton of Zurich on June 28, 1971. The company is headquartered in Zurich. 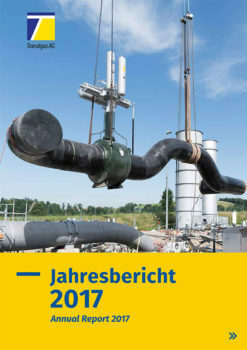 The purpose of the company is to construct, maintain, and operate a natural gas transport system which stretches from the northern to the southern border of Switzerland, as well as transfer usage of this transport system to FluxSwiss SA and Swissgas or one of their subsidiaries under a lease agreement. 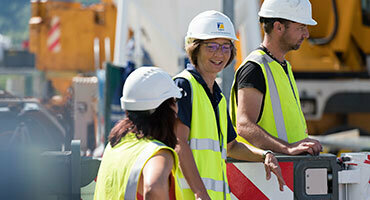 The company has leased its facilities to FluxSwiss SA and Swissgas for use. 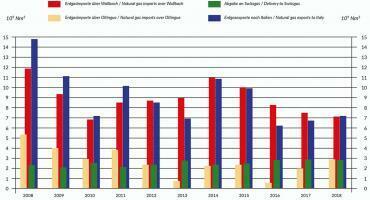 Available transport capacity is allocated to FluxSwiss SA and Swissgas according to a fixed distribution key. The Transitgas transport system consists of 292 km of natural gas pipeline. The annual transport capacity of more than 18 billion normal cubic meters of natural gas. The maintenence plan has only orientation meaning. Changes are always possible. Construction work for the reverse flow project got underway in spring 2017 after almost 7 years of project planning, modifications and detailed engineering. The project was successfully completed in late autumn 2017. Liquidity between the gas trading hubs is now promoted by the south-north flows in both directions.